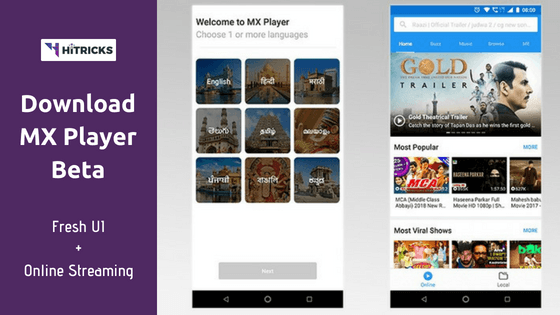 Mx Player has been a go-to offline video player for millions of Android users since 2011. The App was developed by a South Korean IT company – J2 interactive and has over 500 Million downloads on the Google Play store with over 350 Million users from India out of them there are 175 Million monthly active users. Recently the App was acquired by the Times Internet Limited for a whopping $145 Million for a majority of shares. 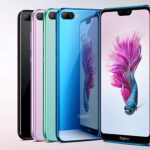 The Company has planned to revamp the app into an Online Video streaming application for India which will provide contents in English and ten other regional languages. 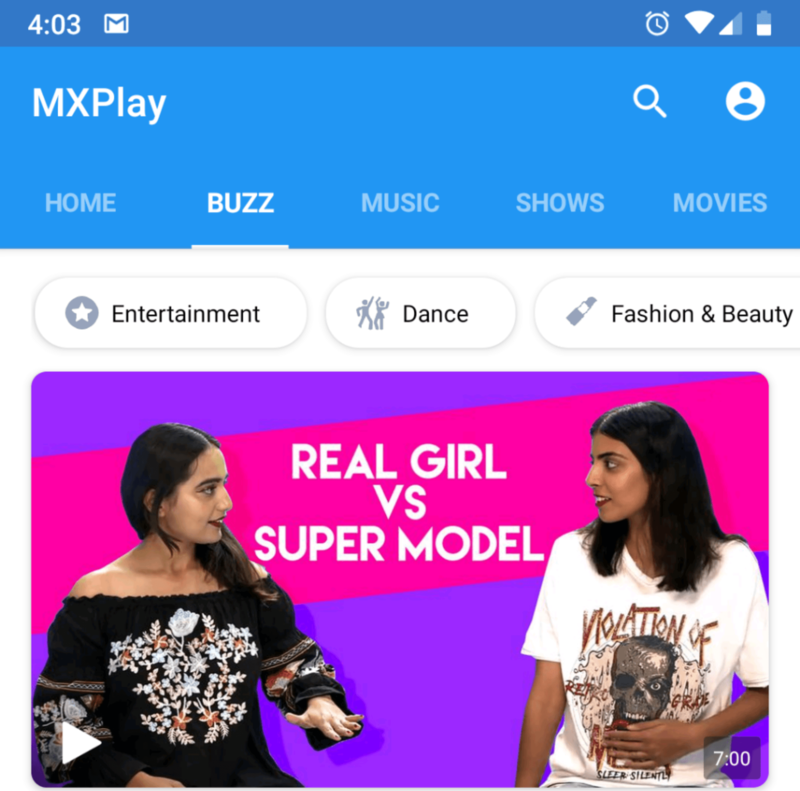 The beta version of the new MX Player App is already out on the play store with an updated UI and some online content. The content right now available on the app is mostly pulled out of youtube and the app will use a freemium model, free contents with ads and a Paid subscription for additional features. The beta version of the App has a clean Blue and white colored User interface with separate online content and local tab, so if the user doesn’t want the online content he can stick with the “Local” tab and watch his videos stored offline. A prompt window at the startup lets you select your preferred language which you also can change, later on, then the app will recommend content accordingly. 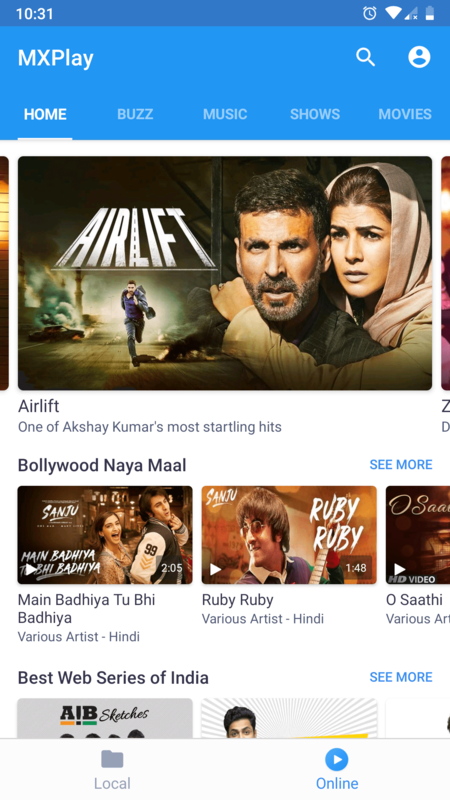 On the home screen, the app recommends whats most popular among videos, music, shows, and movies. 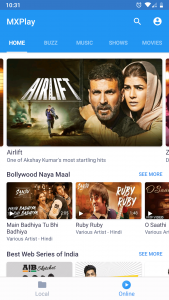 Browsing through the app we can notice different tab like “Buzz” which provides trending videos from different categories which you can select from the top menu, there are separate tabs for Music, Shows, and movies as well. The App lets you store your watch history and you can also add content to your watchlist so you can easily find them later on. These options can be accessed on the Profile page where you can change the language preference as well. How to Control Internet and Social Network Addiction? 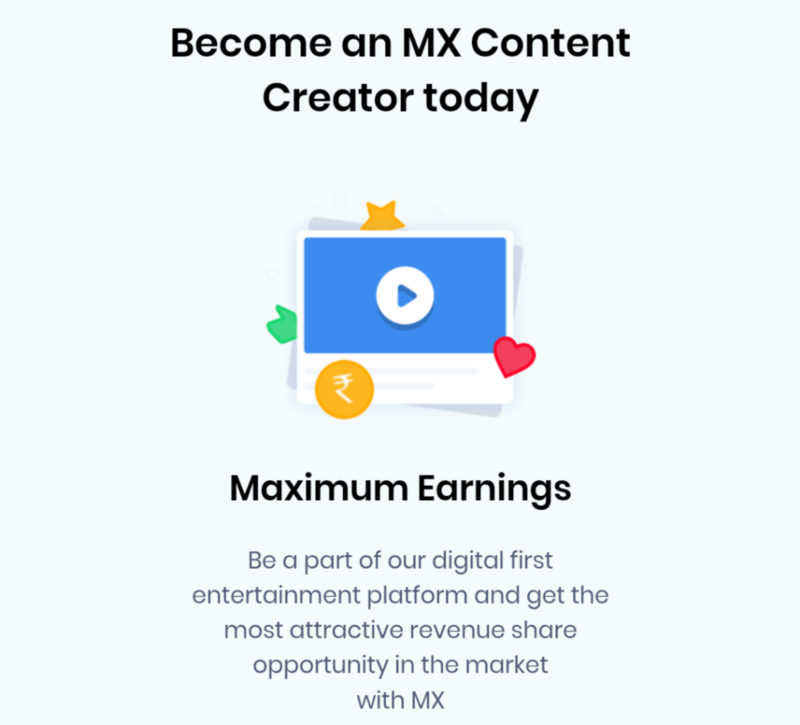 The Times Internet group under MX Player is working to bring around 40 Original shows in different categories like romance, drama, thriller, reality shows, and game shows which will make MX player have one of the largest libraries of original content apart from this users will also be able to stream live TV channels and movies. To suggest shows what you like the App will use a neural network to provide personalized recommendation contents. The algorithms used in the app is built from scratch in India itself said the CEO. The App will be optimized to run well even in poor internet connection, it will lower the video quality once the network fluctuates and becomes slow and will increase the video quality when the network becomes fast again. MX Player currently has 80% users between 18 to 35 years of age and the app will focus on delivering content based on modern lifestyle to attract this user base. 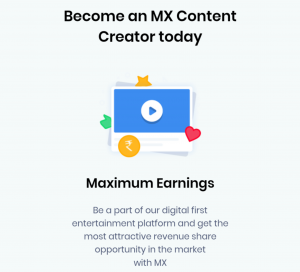 MX player will also share revenue with the creators and provide bonuses for their most viewed content to stick content creators to this platform and the creator allowed on the platform will not be based out of their experience or the existing audience. Want to try out these latest features from MX Player? 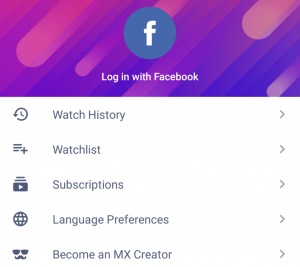 Well, there is no timeframe for the updated MX player going live on the play store has been revealed by the Company but the beta version is already out and you can try it right now to see what’s coming up next. Download MX Player Beta from Here. Please do note that the live tv, MX Player Originals etc aren’t live yet, but this will give you a fresh UI with browsable contents from online channels. Personally, I liked the good and old MX Player that fulfilled all basic and advanced video playing and video streaming needs. I don’t need another platform to browse online videos when there are so many already out there. With that being said, the amount of money being invested in this by the Times Group, I am sure they will come up with originals that will compete with the other players including Netflix and Amazon. Only time will tell. That’s all folks. Thanks for reading. A college student who is passionate about technology and blogging. 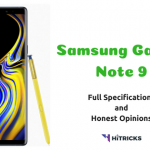 I love to try latest and greatest in the tech universe and has some experience covering latest tips, tricks and gadget reviews.